We’ve had the honour to have Dr Sandeep Gupta, one of the Sunshine Coast’s leading holistic medical doctors, be a member of The Float Space and float with us regularly since 2015. Dr Gupta recently wrote a blog about his experience with float therapy and how it has benefited him in calming his mind and relieving anxiety. Read more about his experience and what he thinks about floatation below. Flotation tanks, otherwise referred to as “isolation tanks” or “float tanks” have also been referred rather scarily to as “sensory deprivation chambers” or more recently (and more eloquently) referred to as “floatation-REST (restricted environmental stimulation technique)”. 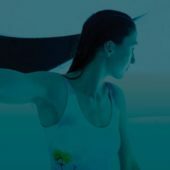 My personal journey with float tanks started off in late 2015 when I decided to try it out after having heard of the impressive benefits of this type of therapy. Dr Sandeep Gupta is a Sunshine Coast based holistic medical doctor, nutritional and environmental medicine specialist, ayurvedic consultant and wellness coach. Dr Gupta graduated from medical college in 1999 and has since pursued specialised training in integrative medicine. He was awarded a Fellowship of the Australasian College of Nutritional and Environmental Medicine in 2008 and a Fellowship of the Australian College of General Practitioners in 2010. Dr Gupta has also completed a Master of Arts in vegan and live foods through Dr Gabriel Cousens Spiritual Nutrition Mastery Program. Dr Gupta currently works in private practice at his clinic “Lotus Holistic Medicine” based on the Sunshine Coast of Queensland, Australia. He also facilitates a weekly meditation group and regularly provides training lectures on integrative medicine to other health professionals. Dr Gupta’s approach does not involve treating “disease” in a medical sense but rather focuses on helping attendees to understand their own underlying physical, psychological, emotional and spiritual makeup so as to address the root cause of any underlying imbalances. Dr Gupta’s real passion is in helping people to fully appreciate and embrace the role that emotional, psychological and spiritual aspects play in achieving optimal health and wellbeing, as in his clinical experience these are the areas that often create significant “blocks” to healing.